One fuzzy chick has wandered into the ground cover and is enjoying these fragrant lily-of-the-valley, one of my favorites too! 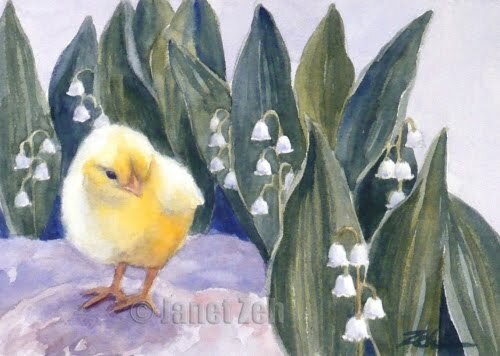 The original has been sold, but check for more of my chicks art in my Etsy shop, Zehland.Etsy.com. Thanks and have a beautiful day!